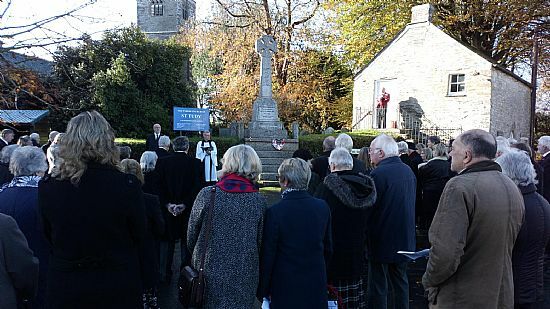 On Sunday November 11th 2018 villagers of St Tudy came together in an Act of Remembrance at the War Memorial led by The Revered David Seymour. 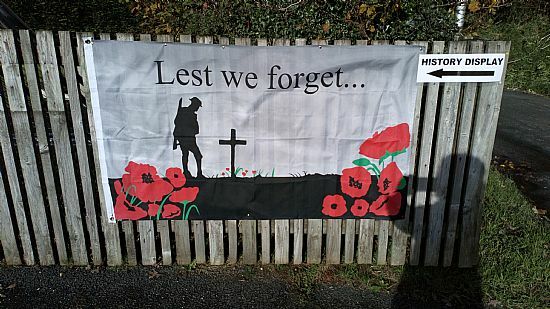 The villagers of today gathered to remember and mark the passing of 14 men in the First World War and 5 men of the Second World War, not to glorify war but to understand the true horror and cost of war. The day was particularly poignant as the date coincided with, and marked, the Centenary of Armistice Day and was being marked in villages and towns across the entire country. 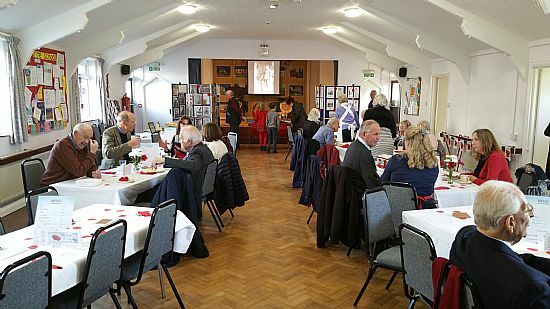 The day also marked the culmination of over four years of research into the names of those remembered on the War Memorial and the work done to ensure the addition of the one name that was missing. The day marked the inauguration of Lieutenant Atkinson who died in 1920, after Peace had been declared. The Historical Society had raised the funds to ensure his name would be added in time for the Centenary service. 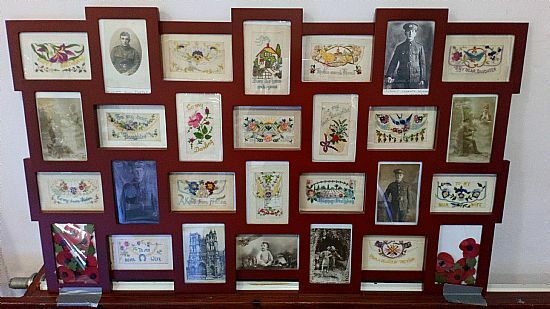 The Research Team of the Historical Society, led by Pam Free, diligently and thoroughly researched the 14 fallen men, putting faces and lives to their names and who are fading from living memory. 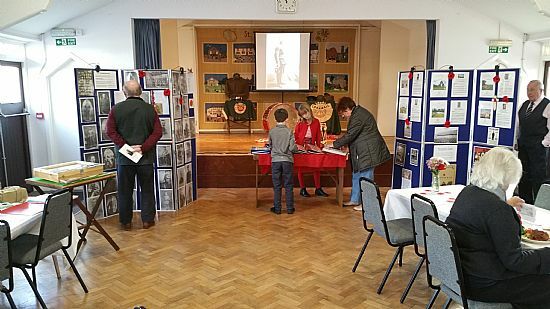 A display was set up in the Village Hall by the Research Team and the Hall was open between 12 noon and 4pm for reading about the men of St Tudy that gave their lives and to take the opportunity to lunch and chat with others who had come to remember those who had gone to the war between 28th July 1914 and 11th November 1918.